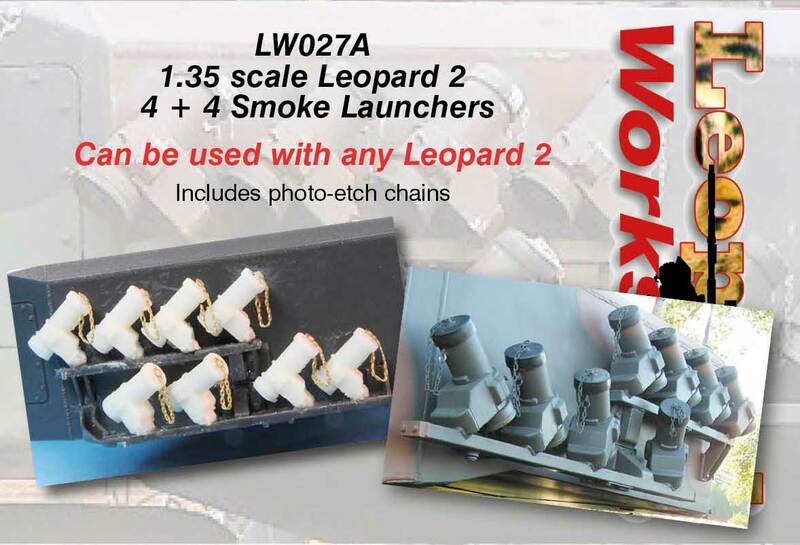 These are the original style 4 + 4 launchers used on most Leo 2s. 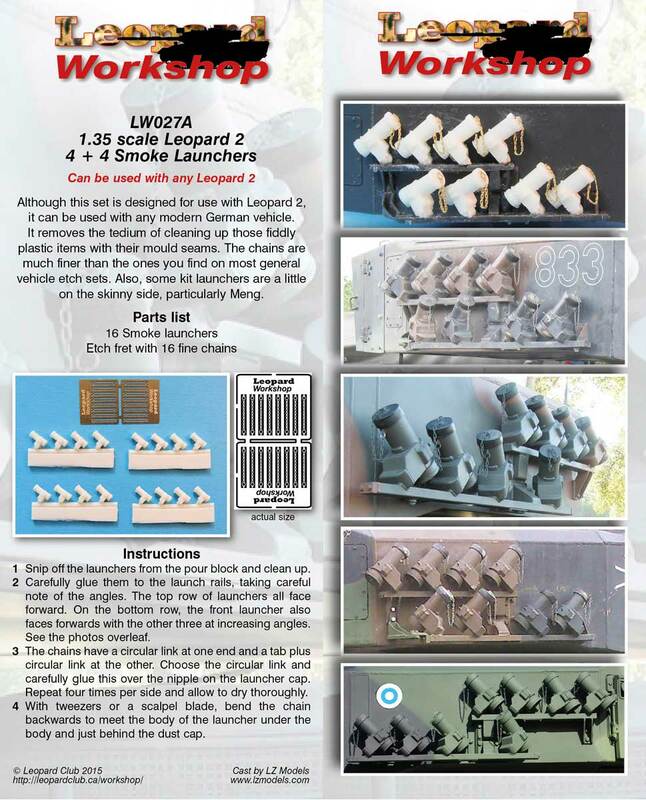 Although this set is designed for use with Leopard 2, it can be used with any modern German vehicle. It removes the tedium of cleaning up those fiddly plastic items with their mould seams. The chains are much finer than the ones you find on most general vehicle etch sets. Also, some kit launchers are a little on the skinny side, particularly Meng. Carefully glue them to the launch rails, taking careful note of the angles. The top row of launchers all face forward. On the bottom row, the front launcher also faces forwards with the other three at increasing angles. See the photos overleaf.